Sounds great! I will look into this tonight. I can confirm that this works! But only with a system-wide pop zone. It does come with it's own baggage though. Also, new errors will show when you choose any mission because of this effect, so following my 'Second Magic Number' tutorial you will need to supply blanks entries at + 70476 and + 200 from that if you are going to use this method. Nice work, but I can't negate all the work I did naming individual clouds that vignettes touched. Perhaps we can find another way to solve this. I don't have the problem with broken naming, mine is fine since I followed your standard offsets - by the way do you mean +70473 ? I put in only two pop zones in my test system, overlapping in the middle of the system. They don't need to be pop zones, just that each vignette needs to be inside a named zone. So your zones should work since you have named all of them? My other zones are just the planet, sun, jumphole and base zones, and my vignettes. The problem with one large field is the missions will say "go to the Samson Debris Field" wherever your missions are. Its a personal choice in any event. Just pleased we know the reason now finally. Not broken if you only want one or two named zones in the whole system, but we have up to seven fields in some systems, each one named. Yes, good to know it can be fixed. This is a list of the mission nodes and their general meanings. Helpful if you have custom factions and don't want to offer certain types of missons. For instance, kill they guy types of missions against nomads. The question marks under some of the mission nodes mean we're not sure exactly what that node does. Last edited by rasauul on Tue Sep 15, 2009 5:30 am, edited 1 time in total. The 2 numbers after Destroy Mission mean the difficulty based on the RankDiff.ini numbers, but there are some numbers that are not listed there and that are used for Random Missions. Where are these listed? Is there any logic behind these numbers? 2- How can I change the number of NPCs during Random Missions so that I could have 2 waves of 25 NPCs per wave? 3- How can I change the money given by that mission with 25 NPCs so that it makes 1M each time? But not changing the given $$ of other missions. 4- Will the rank of amission automatically be levelled up if it gives 1M $ and has 2 waves of 25 NPCs? If I got other questions I'll post these after. Try looking at Diff2Money.ini in the RandomMissions folder... this is the one that the DestroyMission uses. If this file is the one used by DestroyMission, does that mean that I could write 17.000000 and get a mission payoff of ~60k? IF you put 0, 100 then it would be offereing a mixture of missions from diff 1 to 43 or whatever they are - the max ones. The last is the weight in offering on the boards. Thanks for the reply Chips but what numbers to I add? Any I want from 0 to 100? How can I set where to change of wave? Like there are 25 NPCs, then u get to another waypoint and get 25 others? Finally, why do I see a max of 8 numbers while that some missions have like 17 NPCs (In 2 Waves)? the rank2diff file defines how many NPCs have what diffclass. the rank (up to 19 for fighters in vanilla FL) defines what ships are spawned (see npcships.ini). rank2diff then sets the overall mission difficulty. that are the 2 numbers that are given as a range in mbases.ini. diff2money is responsible for the payout of the mission. so 8 of these will have a diff of 1.351260.
this is within the range we gave in mbases so this scenario could actually happen. i hope this was somewhat understandable. Ok now I can get the missions and they pay about 900k but I still get normal number of NPCs, which is about a total of 20. But me I want to get 25 NPCs per WAVE! I want that when I arrive at the first waypoint, I get 25 BHs on my back! what have you changed to the above settings to make it work? the only thing i can spot at 1st quick sight is that the diff2money entries dont go up to rank 300 as ur missions do. I just updated my ini on my older post. ah, i can see it now (probably). add additional lines to diff2money - over the 100 up to 300 - with the cash that you want them to pay out. i think the mission didnt appear because no payment was defined for the range of 200-300. COuld it be because the NPC Rank is 19? Would be too hard NPC for Malta? hmmm, maybe you need to change a few more ranks in the rank2diff file. give rank 14 and above higher numbers. in alpha you have rank18 encounters usually. 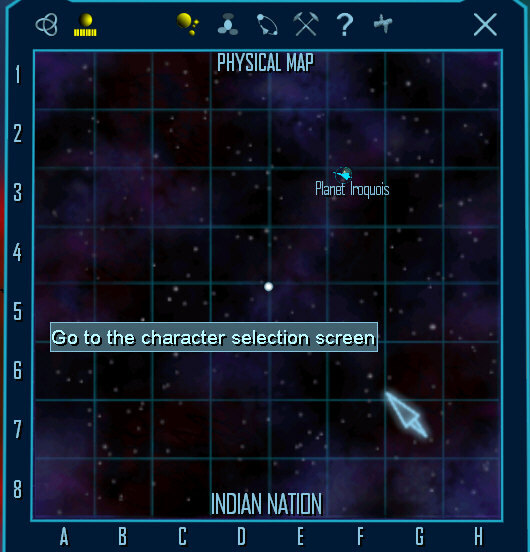 maybe missions only spawn ships that are also in hte zones that overlap with the vignette zones. but this is just a guess. give the lower ones also a bit higher numbers, not just for 19. I didn't work, but then I decided to change the inis again. See the modified versions up. And it works! Only thing... I get 4 Waves of 13 fighters,,, but these are Pirhanas!! I'll try to lower that to 2 Waves of 26 fighters (How crazy I am...) and to change that to HH! EDIT : After some tests, it looks like I can't get HH with my big missions, and that the harder are the ships, the less I get. hmm, you lowered the max rank to 100 again. why? thats why only piranhas appear. you know that it works for 90 to100. try 90 to 500 for example. dont forget to update diff2money! otherwise, i have no idea. this is a bit weird. Well, I though that the mBase Missions numbers work in %. So 100 is the toughest mission of the game, 100% of thoughness, and 0 would be the easiest. I'll try what you said again Fjord, and btw thanx alot, I wouldn't have done that without you. EDIT : I tried with 100 to 300, and I only get 100 missions. 1M exactly, but not more. I really think it's in %.. I though about something : I'll make a new faction with Eagles only, so that there would only be these spawning. EDIT AGAIN : I removed everything to BH except HH and it works. I got caught in a big Cross, it was crazy! so far i was always convinced that its not % but absolute values, but i havent experimented with missions of that high difficulty yet. but this might explain a few troubles i got in the past. but where is the max diff then taken? is 100 the max or where do you "set" the 100% value? maybe diff is capped at 100. The numbers after the NPC Rank in NPCRankToDiff.ini are not standalone values!! -> You have to sum them. I worked on a formation with 25 "slots" but it didnt work... well I guess a made a mistake.. But in fact another limit for the spawning fighters is the formation. It has to have enough slots for the ships, so that they are able to spawn. Give a base a mission range from 90-100. Now if you look at the vanilla FL NPCRankToDiff.ini there are no formations allowed, because the highest %-diff number is 85.207497 (thinking the values do not connect to each other). So, if you want to make missions less randomized, you have to regard this important note.